Gloria N Eldridge, Initiative Director Strategic Innovations for Health Care Reform USA. 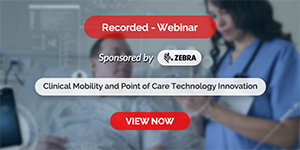 This care transitions guide for healthcare systems, providers, and payers elucidates strategies for addressing the high cost of multiple chronic conditions. Care transitions are organised into five dimensions and innovations are presented that maximise the value proposition in healthcare. Innovations include service delivery, payment, information technology, and education models. Whether they are an advanced, emerging or developing economy, countries throughout the world struggle with the economic effects of chronic conditions and co-morbidity, also known as Multiple Chronic Conditions (MCC). This review outlines the key USA strategic innovations in care transitions, some accelerated by the 2010 Affordable Care Act and others by entrepreneurs keen on leveraging health information technologies. This review is intended as a guide for structuring care transitions towards minimising cost escalation and maintaining or improving quality (a combination known as the ‘value proposition’). The population health and economic burden of non-communicable and chronic diseases such as chronic respiratory, diabetes, cancer, and chronic cardiovascular disease received the attention of the United Nations (UN) General Assembly in autumn 2011. In only the second health-focused meeting of the UN General Assembly in its history (the first targeted AIDS), global leaders grappled with the staggering toll of chronic disease. In the USA, healthcare systems are also pressed to address the specific dilemmas raised by multiple chronic conditions on health and costs of care. More than one in four Americans, or approximately 60 million people, have two or more chronic conditions. This number is only growing as the population ages. By the year 2020, an estimated 80 million people will have multiple chronic conditions. In the US Medicare program that provides health insurance to those over the age of 65 and the disabled, the high prevalence of MCC has profound cost implications. Currently, the 23 per cent of Medicare beneficiaries with five or more chronic conditions account for 68 per cent of the program’s spending. However, these issues are particularly prevalent among dual enrollees at a cost of US$ 320 bn a year – a population enrolled in Medicare and Medicaid, the US health financing program for those with low incomes. In general, multiple strategic innovations can be leveraged, including integrated service delivery systems, payment methodology reforms, and health information and mobile health technologies. Information technology is especially important in care transitions for those with advanced illness and can include health information exchange and interoperable electronic medical record systems, remote clinician visits, remote health monitoring, mobile health (such as mobile phone applications), virtual patient advocates, and artificial intelligence. Addressed here is a selection of these strategic innovations. ACOs are networks or sets of providers and institutions, such as primary care physicians, specialists, and hospitals, that have joint responsibility for the quality and cost of care for a population. To encourage physicians and hospitals to establish these organisations, a bonus payment structure (in addition to a standard fee-for-service model) that rewards ACOs for reducing cost growth and meeting established quality of care targets is required. Cost savings from this model result primarily from reduced hospitalisations and readmissions. 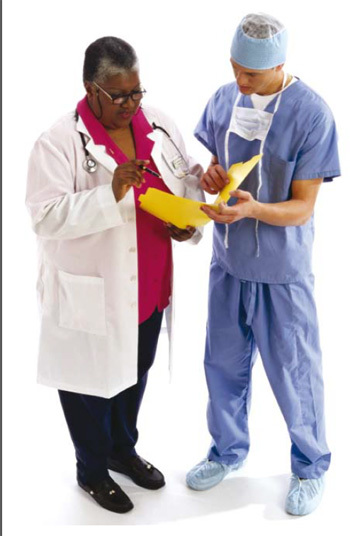 PCMHs are delivery models provided by physician practices that seek to strengthen the physician-patient relationship by replacing episodic care based on illnesses and patient complaints with coordinated care and a long-term provider relationship. Each patient has an ongoing relationship with a personal primary care provider who leads a team that takes collective responsibility for each patient’s care. This care team is responsible for providing all the patient’s healthcare needs and, as needed, arranges for appropriate care with other qualified providers. ACO and PCMH models can exist alone or in combination with each other. The primary goal is a more integrated care system across the continuum of care where savings accrue to benefit the organisation and not just the third-party payer. Bundled payment provides a single payment for all services related to a specific treatment, condition, or individual, possibly spanning multiple providers in multiple settings. Bundled payment gets away from fee-for-service arrangements that reward providers for maximising the quantity of services provided (e.g. the number of hospital admissions or prescribed services). Bundled payment works in integrated provider networks or arrangements, such as ACOs or PCMH models, that can arrange for an entire episode of care to be delivered for a set fee. It places providers at financial risk for service utilization and costs, including complications. For example, all services for coronary artery bypass graft surgery and 30 days of follow-up make a bundle in Geisinger Health System’s ProvenCare coronary bypass programme. First year evaluation results showed a 10 per cent reduction in readmissions, shorter average length of stay, and reduced hospital charges. The collection of biometric information through a standalone device or personal data assistant (PDA) is developing as an innovative strategy for clinicians to regularly track personal health data remotely. Remote monitoring devices exist for multiple types of biometric data collection, including pulse oximeters to measure the oxygenation of hemoglobin (for chronic obstructive pulmonary disease); blood glucose level monitors (for diabetes); electrocardiography (for heart conditions or where diagnosis involves interpretation of electrical activity of the heart); and basic measures such as pulse rate, heart rate, weight, and temperature. Furthermore, PDAs are being used to measure cognitive measures and subjective reports of mental health status, such as depression measures, for diverse populations from war veterans to elders to caregivers. One highly awarded company is MedApps Mobile Health Monitoring, which features a series of remote monitoring products that send health data to a cloud-based electronic health record immediately upon measurement and is capable of tracking this biometric information over time. Evaluation research on remote monitoring is sparse, and private and public consideration of reimbursement strategies is in its infancy. Remote monitoring potentially fits very well with PCMH and ACO models of service delivery integration. Artificial intelligence innovations involve the use of the vast storage and analytic capacity of computers and iterative learning technologies to improve healthcare. A number of artificial intelligence applications are either being used or under development. First, alert and reminder technologies are being used for prescribing physicians, pharmacists, family members, and patients to improve adherence to medication regimens as well as the prevention of adverse drug events due to medication reconciliation errors. Second, remote sensing devices are being used to indicate when an individual has left a bed, room, or house in order to track behaviour patterns and make sure that the individual has not fallen or wandered into an unsafe situation, as in the case of someone with cognitive difficulties. Third, mobile robots with visual image recognition and interpretation capabilities are being developed so that institutions such as hospitals and nursing homes are alerted if someone has fallen (e.g. iRobot’s AVA platform). Fourth, ‘intuitive’ surgical systems are being used for a broad range of surgeries where the assistance of a vast array of past data points guides clinicians (e.g. Intuitive Surgical’s DaVinci system). Fifth, avatars are being used to guide hospital discharge processes so that family members and patients are walked through the key steps of a well-arranged discharge that minimises the potential or readmission or medication reconciliation errors (e.g. Project RED [Re-engineered Discharge]). Self-management education interventions are generally 4–7 weeks in duration and designed to activate patients to manage their chronic conditions. Formal training protocols, where fidelity of the program is maintained is paramount as documented in the randomised controlled trials that have evaluated these interventions. The trials have found that a subset of these interventions significantly reduced hospitalizations and costs over a period of 6–21 months. The National Coalition on Care Coordination describe these efforts as enabling “patients to self-manage symptoms/problems, engage in activities that maintain function and reduce health declines, participate in diagnostic and treatment choices, and collaborate with their providers. The necessary education is provided by a mix of medical and non-medical professionals.” An example of self-management education is Stanford’s Chronic Disease Self Management Program. Multiple other evidence-based interventions address additional wellness modules beyond general education and activation for self-care. This review has presented a breakdown of five dimensions of care transitions. It has also introduced six varied strategic innovations that can be used to address the challenges presented by these care transitions dimensions. 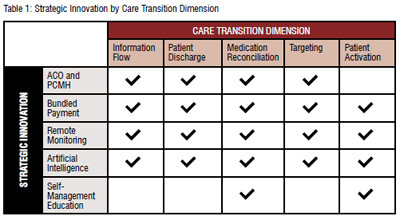 Table 1 outlines which care transition dimension is addressed by which strategic innovation discussed. In conclusion, the goal is for the healthcare system to be more integrated so that consumers receive the best possible care and payers support high-quality care for the most reasonable price. First, the strategic innovations in care transitions presented here, whether service delivery, payment, information technology, or education based, are intended to be used in concert with one another. Strategic innovations must be seen as complementary and adopted, reimbursed, and evaluated as such. Second, in order for the value proposition to be achieved for high utilisation patients with MCC, incentives must work in the same direction, not to disparate ends. Consumers, payers, and providers all have a role to play in aligning incentives to achieve the value proposition. • Reductions in total cost of care. As part of this science, strategic innovations in care transitions can be organised in five dimensions: information flow, hospital discharge and readmission, medication reconciliation, targeting high-risk patients, and patient and family activation. If these five care transition dimensions are addressed, then value will be realised in the most costly population facing healthcare systems: those with MCC. A number of adverse events for individuals with advanced illness result from failures of information transfer and sharing within the healthcare system. These failures include not informing patients of clinically significant test results; inadequacies in hospital discharge summaries to document pending tests or to follow up with providers; inaccuracies in prescription drug regimen plans; and the failure to communicate critical information between care settings, such as advance directive preferences. Patients experience reductions in health outcomes, increased hospital readmission rates, and often a sense of clinician abandonment, particularly when they transition to end-of-life care. Interventions to improve the flow of information include standardised forms; adoption of full and accurate electronic medical record systems; and provider-to-patient communication strategies that emphasise patient activation, meaning active involvement in the care and care transition processes. Two types of information flow problems, hospital discharge and medication reconciliation, are so prevalent that they are broken further. • Discharge summaries’ frequent lack of important and pending test results, full documentation of treatment during hospitalisation, medication lists, and family and caregiver education or counseling. Medication reconciliation is the process of examining prior, current, and planned medications and the patient’s capacity to managed medication use in order to optimise medication use. Furthermore, medication reconciliation compares a patient’s medication orders to all medications that the patient has been taking in order to avoid medication errors such as omissions, duplications, dosing errors, or drug interactions. In the United States, medication reconciliation errors are as high as 67 per cent for hospital inpatients at the time of admission, and adverse drug events are as high as 20 per cent among patients discharged from a hospital. Strategies to identify individuals at high risk for hospitalisation in the next year or readmission within 30 days of discharge may involve predictive modeling techniques. However, data shows that an assessment by a skilled discharge planner or care coordinator does as well as any predictive model currently available. The ideal process would identify high-risk patients and then introduce interventions that reduce the risk of hospitalisation or readmission. Currently, no predictive modeling techniques assess risk and how particular interventions change risk. Increasingly complex health systems rely on patients and families to be well-informed about their diagnosis or condition, its specific treatments, and their individual care plan. Patients who are involved in their own care—that is, who take charge of their health and participate in self-management behaviors—are described as being ‘activated’ or ‘engaged.’ A recent Altarum Institute meta-analysis resulted in the following lessons: patient activation levels can be measured, patient activation levels can predict health outcomes, and patient activation levels can be used to identify and predict at-risk patients. Gloria N Eldridge has worked extensively in health policy and on the economics and politics of national health reform. She is Director of Altarum’s Strategic Innovations for Healthcare Reform Initiative and a collaborating member of Altarum’s Center for Elder Care and Advanced Illness. While her work has concentrated on advanced economies, she has also worked in emerging markets and the developing world. The World Health Organisation/Europe (Copenhagen, Denmark), part of the UN network, and The Lewin Group (Washington D.C., United States and London, United Kingdom), a leading thought leader in healthcare reform, are previous employers. Dr. Eldridge holds degrees from the University of Texas at Austin, the London School of Economics, and Yale University.